Mei-Shun borrowed fake sarashi and ayabo from Master Mei-Shu for practice. 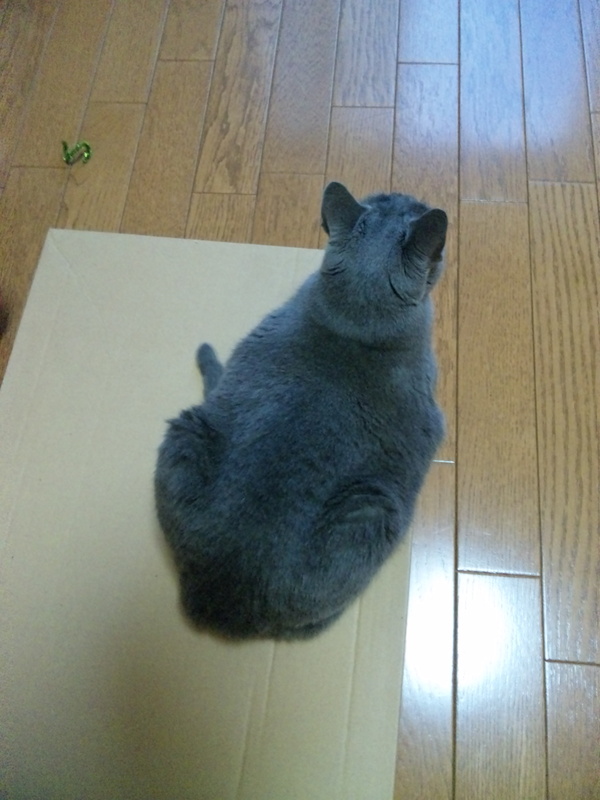 Mikan-chan, a brown-box lover, immediately relaxes on it. Hey, let mom open it, honey. A real pair of ayabo is red and white-striped stick, with small golden bells put on both ends. The Echigo-Shishi rings ayabos before swinging sarashi.